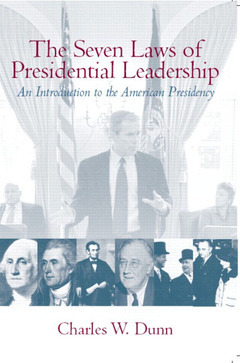 Introduction to the Presidency provides a comprehensive analysis of the concepts and structures, history and politics of presidential leadership using a unique seven laws of presidential leadership approach that facilitates learning retention by synthesizing scholarship on the presidency and presidential leadership. The book assesses the important impact of morality and moral issues on presidential leadership and includes a comprehensive topical bibliography. KEY TOPICS: The author examines the seven laws of the presidency: the law of history, the law of rhetoric, the law of theory, the law of culture, law of character, the law of politics and the law of management. MARKET: For those interested in a unique comprehensive look at the American presidency.